We offer a complete range of accommodation options, all with fantastic beach access. Baywatch, Hideaway and Blue Bach are steps away from the beautiful horseshoe-shaped Davies Bay. They all have all the amenities and facilities, a wide range of bed layouts and there is plenty of room for tents and caravans associated with each tenancy. As well as the bathrooms in each property, there is a shared ablution block. 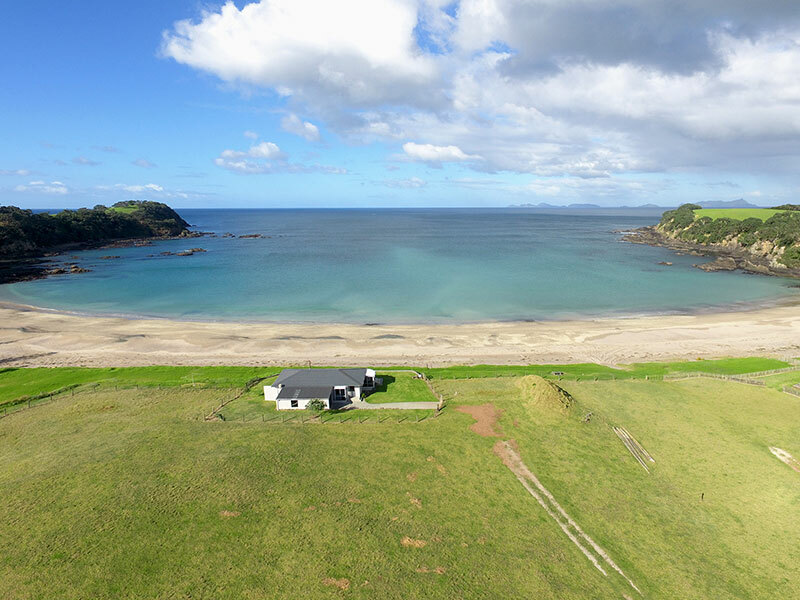 The remaining two properties, The Retreat and Goldmine Cabin, offer a more rustic style where there is no electricity and it’s back to basics in your own private bays – a real holiday off the grid! Prices from $150 to $350 per night.